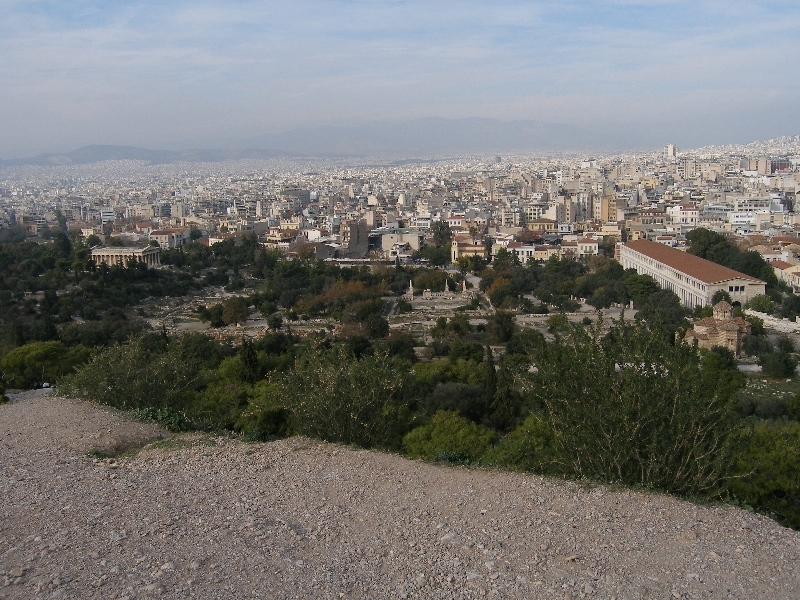 In 2005, I had the opportunity to stand at the edge of the Areopagus in Athens and take this photo. I read aloud the words of Paul that we find in Acts 17. From the Areopagus the view is impressive. Below would have been the marketplace and off to the right the Acropolis with its temples to various gods. But for Paul, this was not simply a spot with an impressive view. Paul was among people who loved to debate from the perspective of popular philosophies of that time. Could Paul somehow manage to present the Gospel in a way that they could understand and accept? You know that altar “to an unknown god”? Of course, they did – as do many people today. There are many today who claim to be religious and claim allegiance to an unknown god. Paul says, let me make the unknown god the known God. The true God does not need a building or a temple. In him we live and move and have our being (verse 28) As Paul will write later in his letter to the Corinthians, Do you not know that your bodies are temples of the Holy Spirit, who is in you, whom you received from God? (1 Corinthians 6:19). The proof, of course, is the resurrection of Jesus. The resurrection of Jesus is God’s first step in setting the world right. Jesus is the one through whom everything else will be set right. The challenge that Paul issued to the Athenians is the challenge issued even to those today who call themselves religious. Repent – that is, turn away from whatever you idolize (whatever philosophy that puts you at the center of your universe). Turn away from these things, give them up, shake yourself free from them. And then, turn to the living God made known through Jesus. Think hard about the unknown God and let new light from the true God flood through this open window and transform you. There is a living God and he is now calling everyone, everywhere. For in him we live and move and have our being. And some of the people became followers…and believed.